Planning out your 4th of July probably includes a variety of traditional celebratory activities such as grilling, swimming, a cold beer with friends and, of course, fireworks. But does your Independence Day plan also include proper safety considerations? If you're like most, you've probably never thought about the possible dangers that lurk among the fun and relaxation, specifically those associated with firework products. Spinners, sparklers and bottle rockets are readily available at roadside stands across the country during the months of June and July, and it's easy to stop in for a quick impulse buy on the way home or to a friend's house. As the afternoon hours pass and one cold beverage turns to "has anyone seen my beer," the impulse to play with fireworks or take small risks you wouldn't otherwise increases. But it doesn't take an impaired awareness to make mistakes. 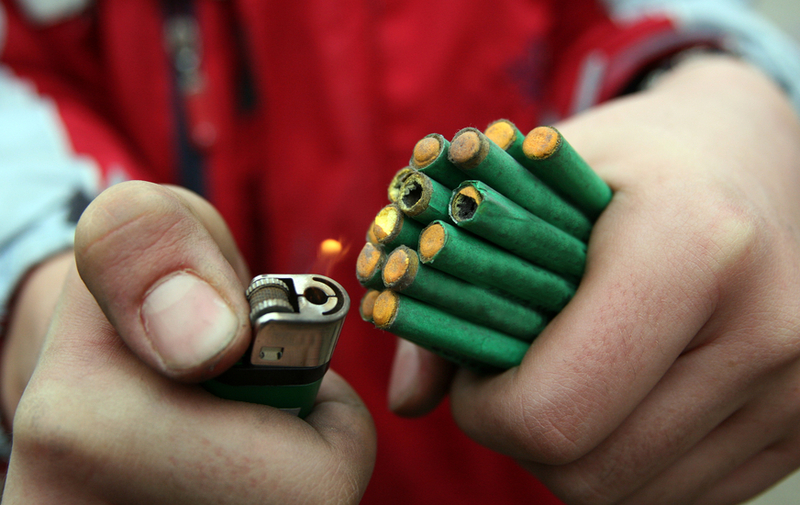 Misinformation about fireworks is common, from where to place fireworks to how to light them and dispose of them once they've been used. 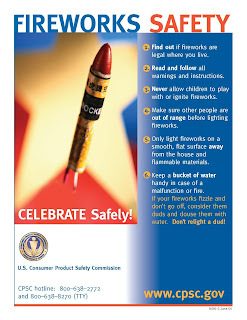 According to the U.S. Consumer Product Safety Commission, roughly 230 people end up in the emergency room every single day from fireworks-related injuries during the month surrounding the 4th of July. In 2012, an average year for fireworks purchases, roughly 8,700 emergency room visits were directly related to the improper use of fireworks. Approximately 5,200 (or 60 percent) of these visits occurred during June and July. 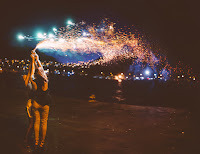 Six hundred were the result of the use of sparklers alone. 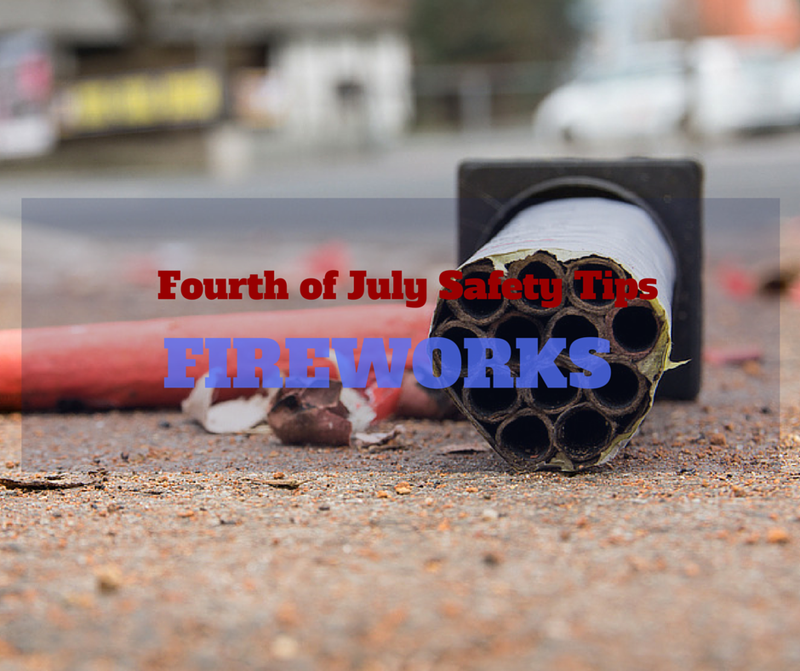 The majority of fireworks-related injuries involve burns on the hands and damage to the eyes and are associated with improper lighting, playing with fireworks, improperly lighting fireworks, reusing old fireworks and improper disposal. Fireworks and sparklers burn hot and exert an enormous amount of force and heat when detonated. When used properly, fireworks can be a fun and exciting way to celebrate the 4th this year and every year following. But much like a grenade, fireworks can cause severe damage to your body as well as to surrounding property. Thousands of fires are caused by fireworks each year. An errant flight path or some hot debris can cause clothing, hair or surrounding areas to burst into flame without any notice. Having a firefighting tool ready and available will be your best chance at stopping a fire before it's out of control. Fireworks are labeled, but are you actually spending the time to read the instructions? Take a few extra minutes to read each label, and reassure yourself of the proper steps to take when preparing, lighting and disposing of each firework. It’s never too early to think about promoting fireworks safety for children, and the best way to do this is to let them learn by watching. 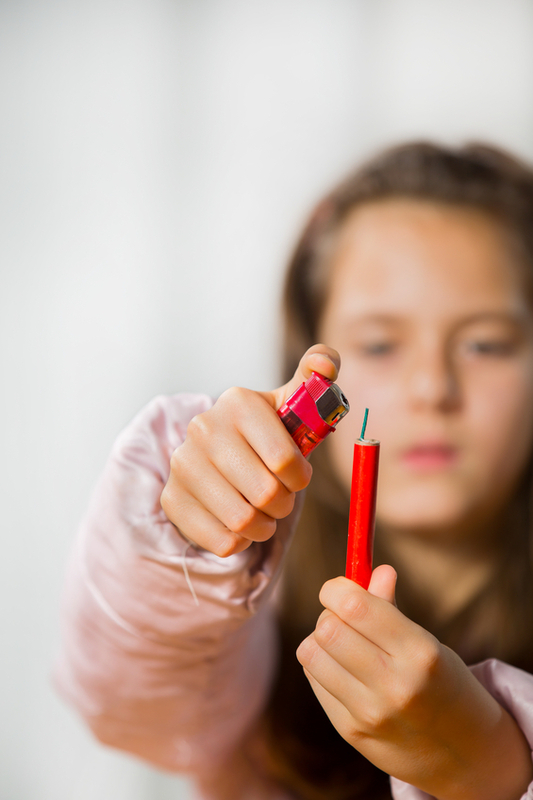 It might be tempting to let your children discover the wonderful world of fireworks early, but their limited dexterity and inclination toward a short attention span makes children and fireworks a dangerous combination. Talk to your children about the dangers of fireworks, and help them to understand that they aren’t toys. An early knowledge about safety will last them a lifetime. Sparklers are a cheap and entertaining way to get into the fireworks spirit, but they aren't harmless. The center of a sparkler can burn at up to 2000 degrees Fahrenheit, and its sparks can easily create a fire when ideal conditions are present. To include kids in the fun and keep them engaged, we recommend using a glow stick instead. Glow sticks come in a variety of colors, and they're a long-lasting and safe way to enjoy the fun without the possibility of burns or fires. It's easy to forget that fireworks aren't toys with all of the fun they tend to provide. But fireworks aren't a game. Never light them while you're holding them, throw them, use them for target practice or play other kinds of games with them. Professional fireworks are fun and entertaining to watch, so it might be tempting to want to try your own hand at something similar. But lighting multiple fireworks at once is dangerous and requires professional experience and equipment. Never try to light a bundle or a row of fireworks in an attempt to create your own fascinating 4th of July display. Firework fuses burn at different rates, and hurrying through the process of lighting them all is a recipe for disaster. 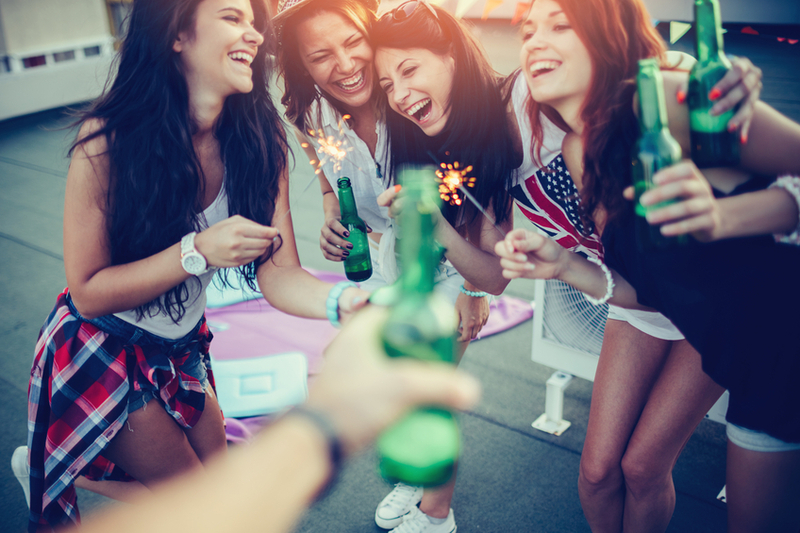 Enjoying a cold one with friends or family is a natural part of a good 4th of July celebration, but if you've had a few too many, you may start taking risks you otherwise wouldn't normally take. Couple that impaired judgment with reduced balance and you're likely to end up a holiday statistic. One or more of your fireworks won't light or won't explode. If you have a dud in your collection, wait 20 minutes, douse it in water, and then throw it away. You may have found some easy instructions online for creating your own fireworks extravaganza, but combining powerful chemicals and igniting them without proper testing is dangerous and results in many devastating injuries every year. Fireworks sold in stores undergo rigorous testing and abide by many predefined safety laws to ensure that, when properly used, injuries are unlikely to occur. The firework you'll create in your garage could cost you more than a few dollars in ingredients. We hope that these fireworks safety tips provide you with the knowledge necessary to use fireworks properly and without incident this holiday weekend and beyond. If you'd like to share a story with us or provide your own tips or cautionary tales, we're here to listen. Simply use the comment box below! Well thought out, excellent documentation. Keep up the good work.Anyhow, I’m definitely pleased I found it and I’ll be bookmarking it and checking back often! OOH ERP permits publicists to appreciate expanded engagement with groups of onlookers in ways different mediums basically can't coordinate. Di era ledakan internet kita beruntung, banyak info sudah tersaji bagi kita untuk dinikmati. Ada banyak website wallpaper yang menyimpan sejumlah poto berupa landscape. Kali ini tim SerbaPandaiDotCom berhasil merangkum pemandangan terindah di dunia yang telah diabadikan oleh sejumlah photograper kelas dunia. Hasilnya pun tak ayal mengundang decak kagum kita semua, terlebih bagi saya yang memang sering berselancar di internet. Sekarang langsung saja Anda putar scroll lock mouse Anda karena sebentar lagi Anda akan menyaksikan pemandangan terindah di dunia dalam ulasan singkat berikut. Jangan sampai terlewatkan ya! Bukankah lebih menakjubkan jika dunia yang indah ini tetap terjaga kelestariannya? Bukankah manusia juga ciptaan Tuhan, jadi sudah selayaknya kita menjaganya sobat. Kesabaran mendekatkan kita pada kesuksesan yang hakiki. Sebab Tidak ada sesuatu yang bisa menghasilkan buah yang baik jika dilakukan dengan terburu-buru, berikut ini merupakan cara menjadi orang sabar dan tidak pemarah dalam konteks yang sesungguhnya. Disini diungkapkan dengan jelas tahapan demi tahapan secara mendetil. Meskipun begitu, tidak berarti Anda bisa menghilangkan peran serta orang lain dalam setiap usaha Anda, untuk itu jangan sungkan untuk bertanya atau Anda bisa kunjungi beberapa bantuan disini.